Just a short drive away from us there is a quaint narrow gauge railway running between Wroxham and Aylsham. 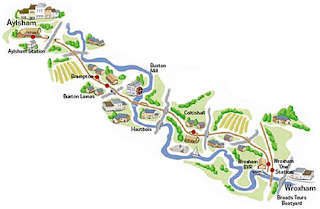 This 18 mile round trip takes in the sights of fields and villages along the Bure Valley. A single trip takes 45 minutes and you can hop off in the villages en route for a ramble before jumping aboard again to complete your journey. Many keen walkers enjoy a one way trip and then preferring to walk back on the foot path which follows alongside the track. The girls decided to take Daddy here for Father's Day and we took a look at the website to checkout the timetable. The weather when we set off was rather overcast but unperturbed we made our way to Wroxham to catch the 2pm train. This was the last return journey we could catch on the day. Before setting off I gave them a quick call to see whether we needed to prebook (2 adults and 3 children as Mollie took a friend with her) No need to book so off we set. We arrived it plenty of time to purchase our tickets and to take a look at the train before we boarded. Our train, a crimson red, was called Mark Timothy. The tickets were sold in the shop which also sold a few snacks, drinks and simple souvenirs. The girls ran along to find the carriage they wanted to sit in and climbed aboard. The carriages are basic and comfortable enough, restored to their original state using wood and leather. The interior clad in wood and varnished. The exterior has a nice paint finish with crimson metalwork, complete with gold highlights. Before long it was time to go! The station master waved his flag and pipped his whistle and the train hissed into life. Steam bustled up from under the engine and and train slowly began to creep forward. Within a minute it had chugged it's way up to speed. and we settled back to enjoy the view. The girls were excited at first but did start to get restless after a while so we played games to entertain them and looked for passersby to wave at! After a 45 minute chug we arrived at Alysham station and were keen to disembark to stretch our legs. This station is larger than the Wroxham one with a gift shop selling the usual toys and souvenirs plus a large selection of model trains and accessories. We took a walk round the station and noticed that the Workshop was open. Although you can only stand in the door way you get a glimpse at some of the upkeep work needed to maintain the aesthetics of the trains. On the main playform there is a mini model railway which the girls enjoyed a quick look at. It was certainly an attraction to the younger children about. 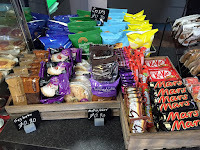 There was also a large cafe at this station serving a small variety of the usual fayre at reasonable prices, the most tempting was the homemade cakes! However, as we had just eaten lunch before our train journey we resisted! We had a bit of time to kill here before our return train was due so we decided to take a walk out of the station to see what was about. We have recently got into Geocaching (you can read more about that by following the link!) we took the opportunity to click on the app and see if there were any caches nearby. By luck there was one just up the road and so we set off. Within 10 minutes we had located and logged this cache and then headed along the road to the supermarket we had spotted to grab some chocolate and drinks for the trip home. Then it was time to head back for our return journey. Had the weather been better we would have considered a walk back but it was too damp and dismal to enjoy a walk so we stuck to the train journey. Again the girls got a bit fed up once the chocolate was gone so the walk would have been a better option for us. Bure Valley also offers group outings for schools, birthday packages, special events and very popular are their Santa Express and Thomas the Tank Engine days. We enjoyed the trip but for us it was a little too long and the girls bored quickly. There are options to break up the journey with walks if you go on a good day. I think younger children and train fans would enjoy this more than us. I don't think we''ll hurry back though. If you've got a little train fan then give it a go but if you prefer something a little more exciting then maybe this isn't really for you. As a family we love going out for meals and one of our favourite places is Black Rock Grill at Potters. For those of you who haven't been before this is a unique dining experience. There are optional extras should you wish to add them to your meal and these carry additional charges. We decided to celebrate the start of the Summer Holiday with a visit to Black Rock Grill before heading into Great Yarmouth to see the first of the summer weekly fireworks displays. it's also a nice chance to get your glad rags on and enjoy yourself! They do no lunchtime service. 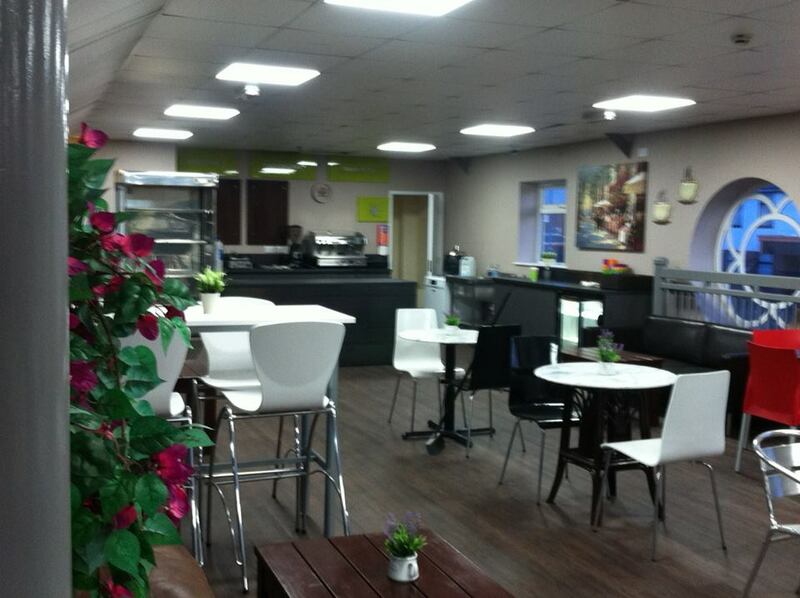 The restaurant is easy to find, situated at the rear of the Potters Resort grounds. There is plenty of parking nearby and the resort roads are nice and quiet. At the top you enter the restaurant through a door and the service desk is immediately on your left. We found the greeter friendly and polite (as always) and our booking was quickly found and we were shown to our table. The restaurant itself is spacious and light with a very contemporary feel with large windows offering beautiful views over the resort grounds and out to sea. We were seated at a comfortable booth style table and given our menus. We were then left for a few minutes to browse the choices before our waitress came over to introduce herself and to take our drinks order. She then removed any unnecessary glasses etc to make room on the table. Returning shortly with a selection of homemade breads and a dish of dips. You can have more of these breads if wanted. It didn't take long before our drinks arrived and we were ready to order. The waitress went through a few of the choices with us as they have added some new starters in the past month and we all decided on some of the new choices - Slow Braised BBQ Pulled Pork Slider and Honey and Ginger Chicken Wings. They also do a pretty yummy Prawn Cocktail which is Chris' favourite, among other choices. I will admit that the Pulled Pork Slider was my favourite! The waitress checked with us whether we wanted to try the exotic meats (today they had crocodile, kangaroo and eek something else which I've forgotten! 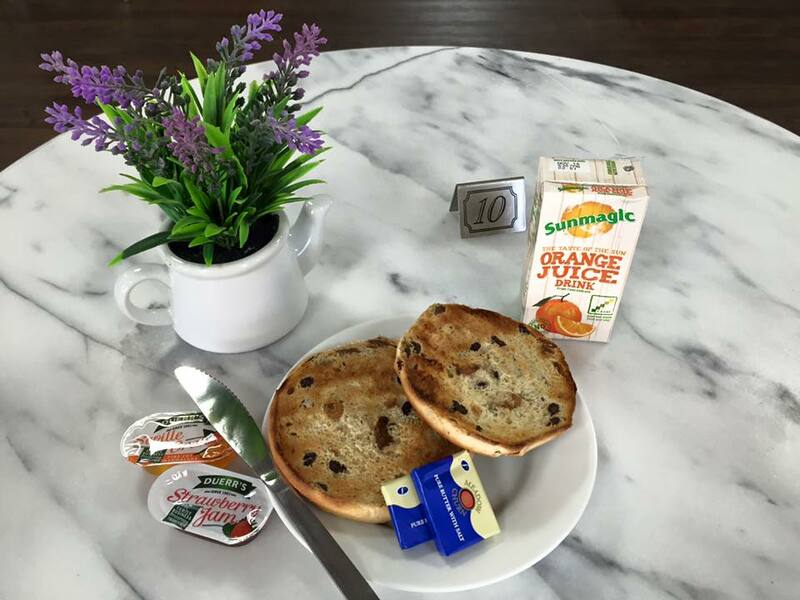 These come at an additional charge of £3.50 per person) we decided not to have these. Also if we wanted any sides, Chris opted for the Beer Battered Onion Rings at an additional charge of £2.50. However you get plenty of food during the main course so don't worry about trying to fill up! They just keep bringing more if you ask! After enjoying our starters it wasn't long to wait before our Hot Rocks arrived. Now these are HOT!!!! Our girls are sensible and we trust them to be careful, they understand that they can get burnt on these rocks. When we went with friends last year, the parents cooked the meat for their youngest on their own rock so just ask. Then the meats and accompaniments arrived! We were instructed on how to cook the meats, using plenty of salt to stop them from sticking to the rock and not to use the sauces on the rock itself. Meats, fish and accompaniments were replenished as required and they will bring you a fresh hot rock if yours starts to cool off. We thoroughly enjoyed our main course and the girls LOVED cooking their own food. The benefit of the meats chosen are that they can be eaten at any stage of cooking and the girls soon knew how long they needed to cook their meats to how they liked them. The meats/fish are also sliced to roughly 1cm thickness which means they didn't take too long to cook. We found that all of the meats/fish served were good quality, with no gristly nasty bits. Throughout our meal, the waitress checked in with us on a couple of occasions and drinks/foods were replenished as needed. After eating our fill with the main course we finally admitted we were beaten by the meats! The table was cleared and the waitress brought us the dessert menus over. Chris and the girls opted for the Black Rock Signature Fondue which is very popular. I decided to try one of their new desserts and opted for the Raspberry and Pistachio Semi Fredo. These didn't take long to arrive but just long enough to give us chance to recover from the main course! The Raspberry and Pistachio Semi Fredo is a frozen raspberry mousse with pistachios and toffee pistachio crackling and a raspberry coulis. This was just right for me as it was light and sweet. Tea and coffee is also offered as part of the set price but we usually forgo this as we just cannot fit anything else in! So, there you go. We thoroughly enjoyed our meal at Black Rock Grill and find it reasonably priced. Some people have commented in the past about paying that price and then having to cook it yourself but to us that adds to the fun. We have always found the service professional and friendly. We highly recommend the Black Rock experience. If you go why not complete the evening with a show at Potters Resort? We've often done this in the past and quite often there are offers available that include meal and show. This is definitely worth looking into. To find out more about Black Rock then check out their website or follow them on Facebook. 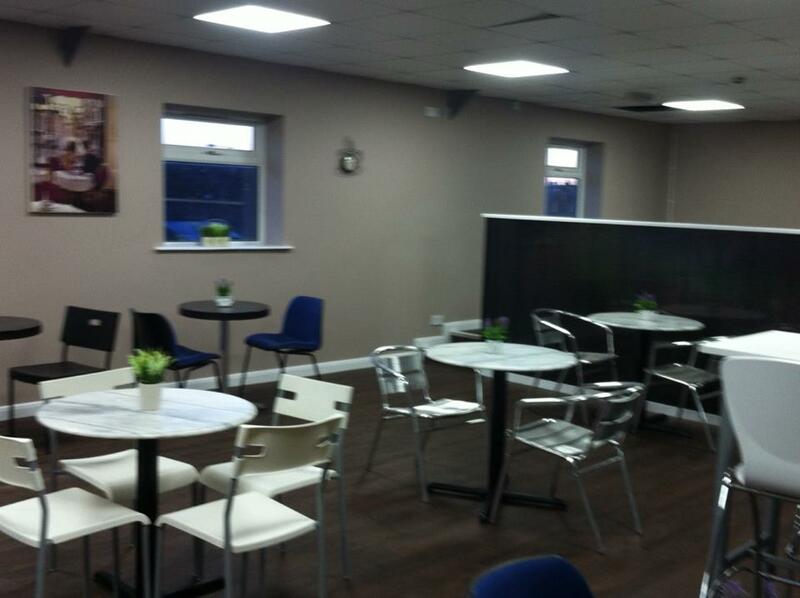 Earlier this year Great Yarmouth saw a near play and fitness venue open it's doors. 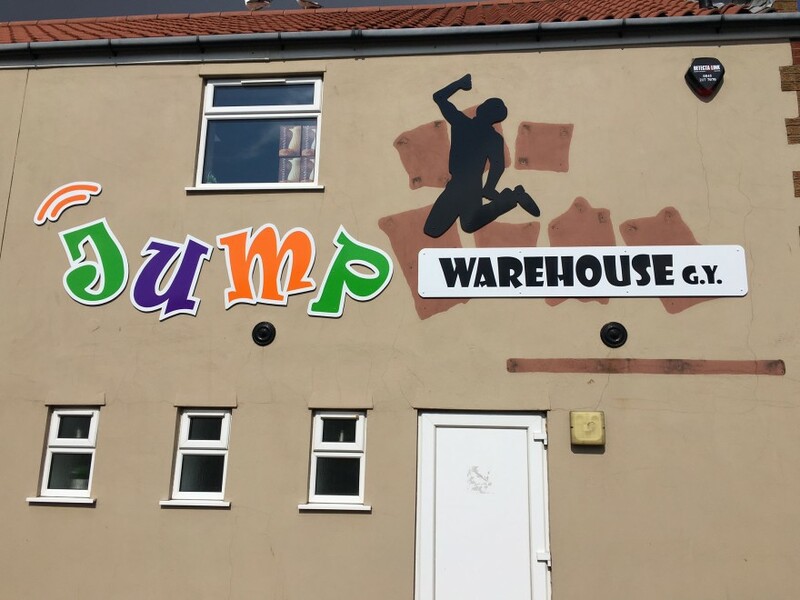 Jump Warehouse opened at Easter and has proved itself very popular with children AND adults. They not only offer Jump sessions for children but also parties, tots sessions and fitness classes for adults. They are open daily from 10am till 9pm Mon-Fri and 9am till 9pm Weekends. Tots sessions and Fitness sessions are £5 per person. Jump request that you arrive 20 minutes early for your session for safety talk and to sort waiver forms. It is suggested to book online but I do know some people just turn up and there are usually spaces. Parties are run during their regular open sessions and cost £13.95 per child with a minimum of 10 children booking. This price includes an hour Jump time, a choice of food, Jump socks for the children, a party host AND the birthday child goes for FREE! Plus unlimited juice and party invites. 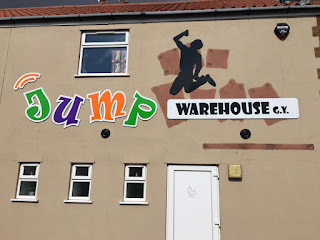 Jump Warehouse Great Yarmouth is based on Main Cross Road and you will find free roadside parking. It's easily recognisable from its signage so there's no worries in trying to find it. Once inside you find the reception desk where you pay, get your socks and sort out waiver forms. Then you go through to the briefing area for the safety talk and to prepare yourself for your session. Once you are ready and it's your session slot then on you go! The trampolines are all on one level with brightly coloured safety padding in between each trampoline, this makes a large bouncy floor space! There are trampolines up the walls so you can do rebounds and a sloped trampoline too. There is a smaller bounce area to the right. Over on the larger Jump area you will find a basket ball area and a large bouncy air pillow that you can leap onto from the trampolines, budding gymnasts can practices their flips there! There are a few black beanbags scattered around for those needing a rest. The area is decorated in black with "graffiti" style artwork on the walls in bright colours. Back in the briefing area there is a set of stairs going up to the Cafe. 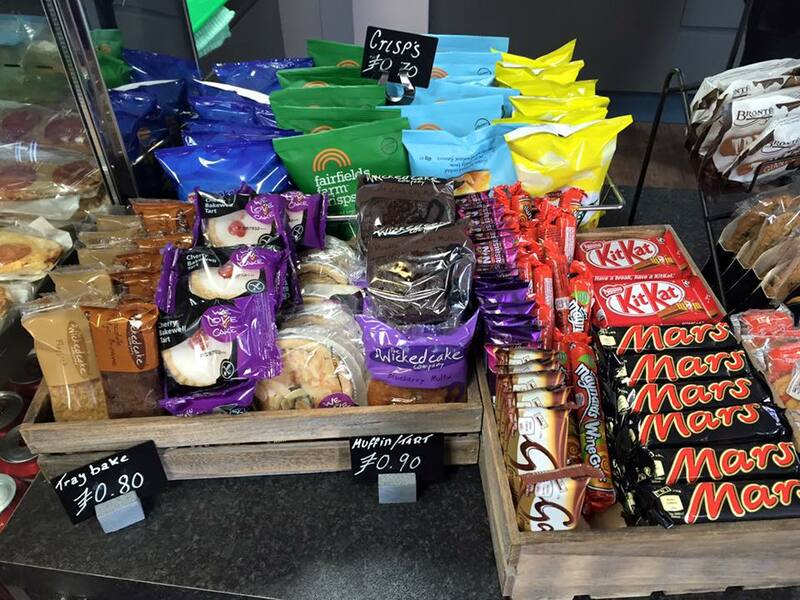 Here you can buy hot and cold drinks and snacks to enjoy whilst you watch the fun over the balcony edge. I found the prices reasonable and they offered good quality food and drinks. Mollie and Emily loved it here and are excitedly planning their next visit! It's great to see something like this in our town.